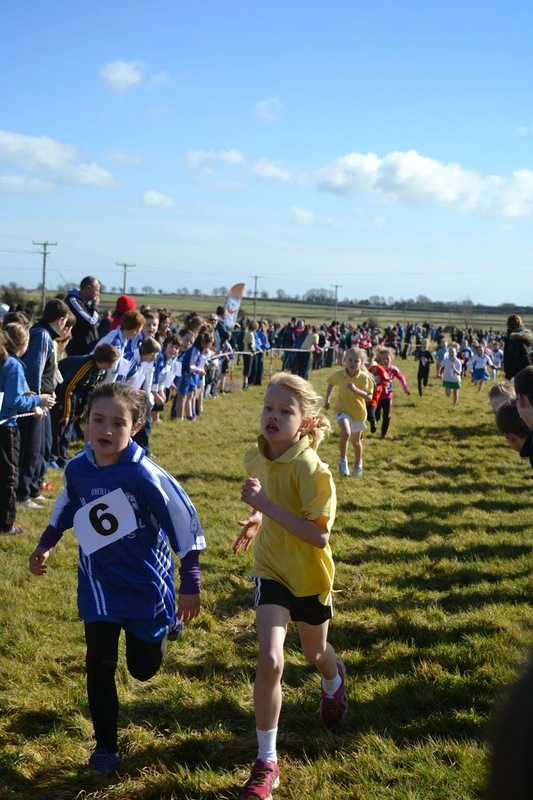 The Meath Primary Schools Cross Country was held on Friday the 13th last at Fairyhouse Racecourse. We had great success from Ratoath AC’s parish schools ; Rathbeggan NS came home with four individual medals and in the team events they won three Gold three Silver two Bronze. St. Paul was also very impressive with six individual medals. Ratoath AC Athletes were also representing St.Andrews NS Curraha and St. Michaels Trim. All club members where prominent in both individual and team events on the day. 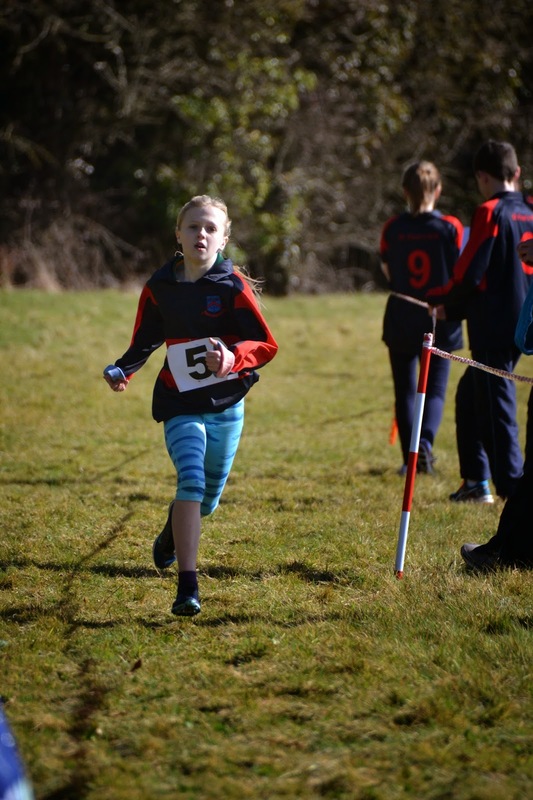 The first race of the day was the 1st Class girls 600mtr; Katie Doherty was a worthy winner; her Ratoath AC and St.Paul’s NS team mate Isabel Wallace coming in strong in 2nd place. In the 1st Class boys: Robert Hayes was 14th for St.Pauls. with club mate Conor Toole of St.Andrews coming in 26th . Very impressive running from them as this was the first cross country competition for both boys. 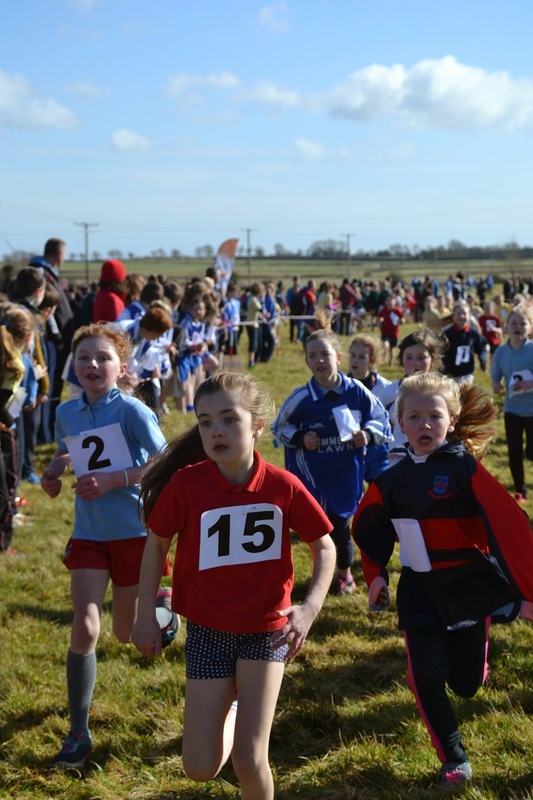 2nd Class Girls race had a 1st 2nd 3rd for Ratoath AC: Ciara Coroner, had a great run finishing 1st and her club mates Niamh Muphy in 2nd (both St. Pauls NS) and Lauren Fewer in 3rd position with Grace Toole 11th (both St.Andrews) helping their school to Team Bronze. 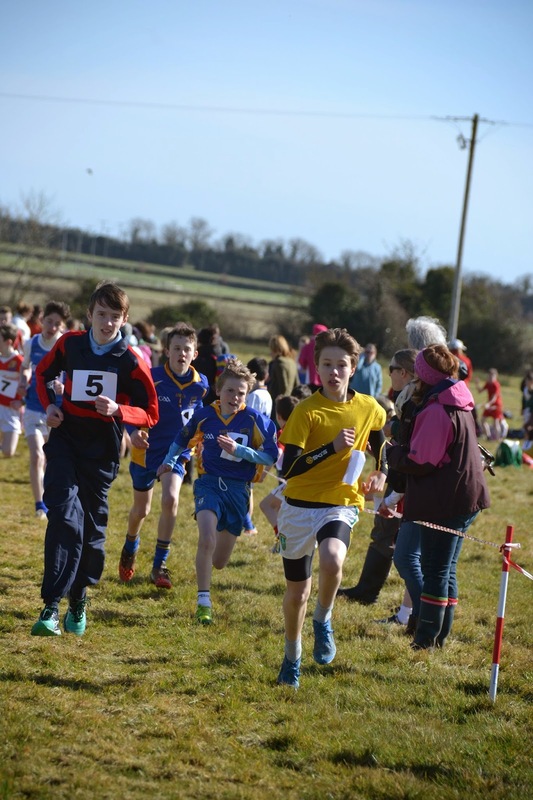 Jared Roach came 19th in the 2nd class Boys race, and his team (St. Andrews Curragha) finished in 3rd place. Laura Kelly, St. Pauls had a great run finishing 1st in the Girls third class 800 mtr event. Harry O’Connor, impressive as ever, winning the 3rd Class Boys 800mtr race representing St. Michael’s Trim. In the girls 4th class 800mtrs race, we had another 1st 2nd 3rd for the Club with Sophie Quinn 1st and Elbha Toole 2nd for St. Andrew’s NS Curragha NS and Amelia Campbell in 3rd for St.Paul’s. NS. Curragha girls won gold in the team event. In the boys 5th Class 1,000mtrs event Fionn Drummond continuing to make it back from injury finished 8th and helping his Rathbeggan N.S team to Bronze. 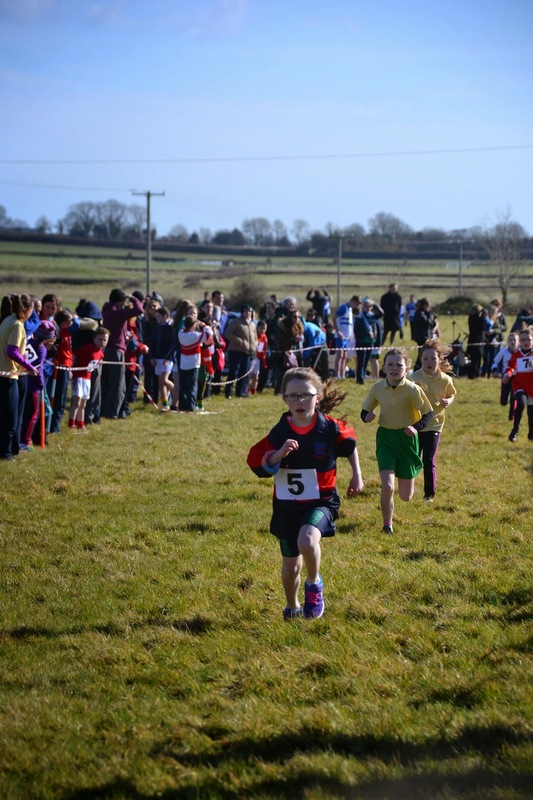 Jamie Fewer came in 20th for St.Andrew, Curraha. Thanks to the teachers from our local Schools for taking the children to this event and also Paddy Mangan and Meath Athletics for a well run competition,to Gerry Finnegan who helped out on the day and thanks also to Tommy Boshell, Peter Doherty and Paddy Mangan who set up the course.